Investing in companies that mine crude oil is one way to profit in the stock market. These companies find investors in the stock market who are willing to lend them assets in exchange for profit. They do so because of the increasing demand for oil and therefore, and forced to find new ways to increase their production and improve their operations. The stock market isn’t the only place to trade in oil. The commodities market is another place where traders can take advantage of changing prices of crude oil. Futures and ETFs are currently the two ways to trade oil. Crude oil futures trading contracts tend to expire on a monthly basis, but otherwise, the process works the same as trading stocks. In this type of investment, traders buy and sell barrels of crude oil instead of investing in the mining company. Crude oil ETFs, however, work with the general objective of tracking and monitoring the price of oil. Crude oil ETFs can monitor the price of crude oil or crude oil stocks. Traders attempt to implement a single equity while using ETFs, as well as taking advantage of high leverage. Trading oil is very risky because the market is highly unstable. Prices can change daily and it is a disadvantage to hold onto stocks for a long period of time since traders cannot take advantage of the drastically changing prices. On the other hand, you cannot trade oil in the spot market because, unlike the stock market, there is no tool available to track spot oil. Futures, using swing trading strategies, are the best way to trade crude oil. Look for futures contracts that expire on a monthly basis since the oil market is constantly changing. There are a variety of tools available to traders to take advantage of. Some of these tools can project price movements. This can help traders develop the knowledge necessary to monitor the daily shifts in the supply and demand of oil. This supply and demand can strongly impact the price of oil futures. Do not invest in Oil Companies. Investing in Oil Exchange Traded Funts (ETFs) is generally the best way to spend your money. Oil ETFs reflect the good and bad of oil prices. Therefore, if you think that oil prices are going to increase, invest in Oil EFTs instead of oil production companies. The production company’s shares might not increase with the price of oil. Your investment can also be subjected to a variety of variables such as the political environment, the impact of geological changes, how well the company is being run and marketed. Oil ETFs will always rise and fall with oil prices without all the other external factors playing a role on their market value. Do your research before deciding on a Stock Broker. There are a large number of online stock brokers who act as the bond between you and the stock market. There are several different relationships that you can have with your stock broker. Execution means that your stock broker will only buy and sell at your request. Advisory relationships mean that your stock broker will give you information on the best stocks and offer services to help you trade. Discretionary means that your stock broker has complete control over the stocks you buy or sell and they do so on your behalf. Advisory and Discretionary dealings normally result in higher commissions that you have to pay your stock broker. If you’re new to the stock market, it might be best to begin with an advisory broker and then, once you’ve developed a bit of a knack for trading, switch to an execution broker. You need to make sure that you investigate all the costs and fees that your new stock broker is going to charge you. Also, if you are a new client, you can normally find stock brokers who are willing to offer you some excellent temporary opportunities so be sure to shop around. Look for online reviews from individuals who have actually used the stock broker and be sure that the broker offers a platform that is easy to use and makes you feel comfortable working with them. 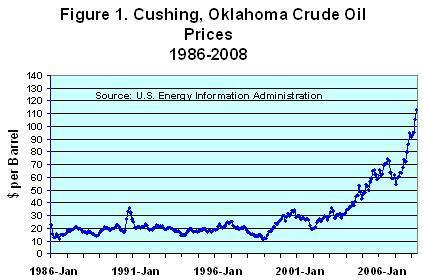 Peak Oil is the idea that the world has reached its maximum possible crude oil extraction. Several academics believe that this might happen very soon. If this does happen, oil prices will increase drastically since production will decrease but demand will remain the same. There are alternative energy options and those options will increase but it will take some time for them to meet worldwide energy demands. It is recommended that you invest based upon Peak Oil predictions and make your own decisions about Peak Oil. Before you invest in Oil ETFs, be sure to look at market trends over the past few years and see how oil prices have reacted to certain world events. This allows you to have an educated look at how oil prices might respond in the future based on current world events. There are a variety of online resources that are at your disposal. Oil is the solitary and important goods to a profitable production. We utilize oil as a fuel for our vehicles, to move our commodities, and also to muscle our computers. Nearly each of the merchandise or service is dependent in a number of way, on oil. Among all the Nations in the globe, not many are as reliant on this lubricant like the US. While the United States have barely 5% in the world’s population, they use 25% of the entire oil produced daily. There are a numerous of causes for this, as the majority of which arrive down to the US. As the US, use subsequently large amount oil, their currency, the US dollar, is extremely to a large extent associated with the oil markets. As soon as the cost of oil increases, the US have to send further dollars abroad to acquire the entire oil it requires. The US is fundamentally vending dollars to procure oil. Dollars falls down, and the oil prolong up. Canada, the northern neighboring country of the US, is one among the few countries to generate more lubricant than it utilizes. As an outcome, the United States purchases the largest part of Canada’s additional oil. All over the globe, oil is valued by dollars. While Americans set out to fritter their dollars in buying oil from Canada, Canadians receive dollars. However Canada does not use US dollars—hence their oil corporations must obtain those dollars of US and then convert them to dollars of Canada. This exchange lets them to forfeit employees, build new hoards in the oil wells, plus usually perform their trade as they perceive it. Oil is too awfully significant as of a Canadian potential—it’s one of the chief sold-abroad goods. If the value of oil mounts up, their financial system toughens as they propel additional oil abroad for a elevated charge. However if it drops, in that case their financial system deteriorates since they get not as much of money into their personal nation. Nevertheless, as the US has to trade in its oil, increasing prices of oil be likely to deteriorate the United States market. Alternatively, declining prices in oil is liable to aid the economy of US. The pair of USD/CAD has a propensity to associate with oil values. While oil ascends, the pair of USD/CAD cost drops as the economy of US deteriorates plus the economy of Canada fortifies. While oil descends, the pair of USD/CAD cost goes up since the economy of US perks up as the economy of Canada wanes. Intelligent dealers are acquainted with the fact that solitary method to earn cash with oil values is not simply to purchase oil. In most of the situations, the cost of the pair of USD/CAD might be vaguely belated in competing up to prices of oil. This is due to the consequence of altering costs doesn’t strike the currency marketplace in anticipation of approximate currency transaction amid boundaries. Once the money begins shifting from hand to hand in superior or minor commodities, the demand and supply mechanics of the money marketplace have an effect on the cost, thus cost of oil values keen on the forex marketplace. A great deal like the US, the Japan too trades in a greater part of their oil. The pair of CAD/JPY is optimistically associated with prices of oil, since it grows and drops in tandem with prices of oil. If there is a rise in the cost of oil, the economy of Canada perks up and the economy of Japan calms. The contrary is also factual; if oil drops, then the economy of Canada deteriorates though the economy of Japan progresses. The splendor of the pair of CAD/JPY is the interest-rate discrepant in comparison to the US. Japan generally has one, although not the least rates of interest in the urbanized global financial system. Stumpy rates denote that we can purchase CAD with means of JPY reasonably and make a optimistic carry trade. Within effect, trading the pair of CAD/JPY means that you are scrounging Japanese Yen in order to purchase Dollars of Canada—essentially scrounging at .25% plus loaning at 3%! Japanese as well has a dreadfully vital association with stockpile and supplementary perilous chattels, which we will explain later. We discussed a lot about oil; therefore let us catch a gaze at the subsequent product on the list: gold. AvaFx was established in 2006 by professionals from the world of trading. The broker soon became popular for their offers in currency trading, and in addition allowing the clients to trade in oil via CFDs has further rocketed its popularity. In addition to being a highly reputed online broker, the high amount of liquidity also makes it the leader in terms of security. It is the wide range of benefits offered by AvaFx that appeals to such a huge trader following behind it, as you can find both experienced and beginner traders. When you want to make oil investments through AvaFx, it would be required to simply subscribe and create a classic trading account having a starting deposit amount of $100 or more. When you trade with CFDs, you get a leverage of 1:20. AvaFx takes only 1% share in oil trading. The Avatrade website offers loads of useful information along with elaborations to help every trader who wants to learn how to get the maximum out of his/her oil CFD investments. AvaFx is not just offering you the fundamentals of the oil market and the ways to use CFDs. As a new subscriber, you would also be able to take advantage of the webinars where the benefits and working of the broker’s professional Metatrader platform are explained well in detail. You would find guided training sessions and elaborations of the main functions of the trading platform. Welcome Bonus – The welcome bonus from AvaFx is a unique advantage for traders. 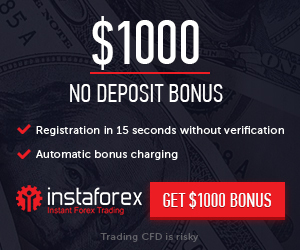 The bonus is offered to both CFD and Forex traders, and the amount can be as high as €1,200. The bonus offer is going to be based upon the starting amount that you invest. If you want to get this maximum bonus offer, make sure that your starting deposit is not less than €50,000. Even if your investment is not high, you can get some other special bonus offers. In addition, there are several other promotions as well. Metatrader is the online trading platform offered by AvaFx. And, it gives you different trading and analysis tools on this platform. If you are a starting trader, you can take advantage of the freely-offered demo account where you can learn how to manage virtual cash. The customer support offered by AvaFx is highly reputed for their level of efficiency. They respond to the queries of traders through Live Chat, email and telephone. The highest bonus offer is given only to VIP traders. •	AvaFx assists both CFD and oil traders to get the upper hand over risks so as to improve their profit opportunities. •	The special feature, “Rollover date” is an innovative offer from AvaFx. This feature lets traders to determine the CFDs according to some closing date. •	On the closing date of a contract, it can be replaced with another contract for a new price. •	If there is huge difference between the prices of contracts, the fees gets adjusted itself. •	Losses and profits get handled more efficiently and in a custom way. These are the leading advantages of trading through AvaFx.